Despite being blanked in Manchester United’s loss to Arsenal last week, one of the club’s biggest pickups of the season is predicting huge things for the club this year, namely – multiple trophies. 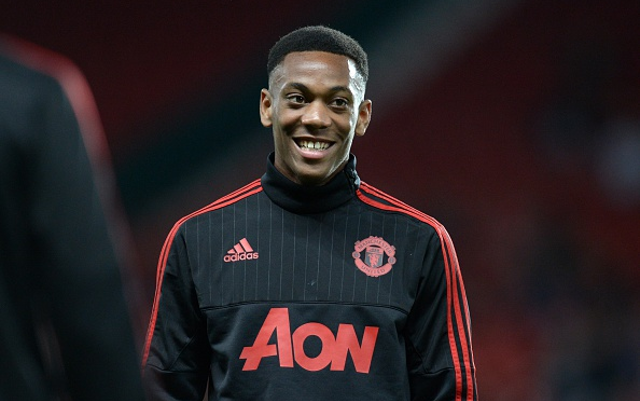 According to the Metro, 19-year-old striker Anthony Martial told the media that Man United is one of the top clubs in Europe and can win both the Premier League and the Champions League this season. Manchester United have not won multiple trophies since the 2010-11 season when they won the Premier League and the FA Community Shield. The last time the club won both the Premier League and the Champions League was the 2007-08 season – when Cristiano Ronaldo won the Golden Boot. Martial’s claim is not entirely unreasonable considering their current position on the Premier League table (3rd) and the relatively weak strength of their Champions League group. The former Monaco striker was acquired by the Red Devils in the final hours of the summer transfer window for £36 million – the largest transfer fee ever for a teenager. He proved his value in his first eight days, recording three goals in his first two appearances. Since signing Martial, Man United have won three of their last four Premier League matches, their League Cup match against Ispwich Town, and a key Champions League group stage bout with VfL Wolfsburg.